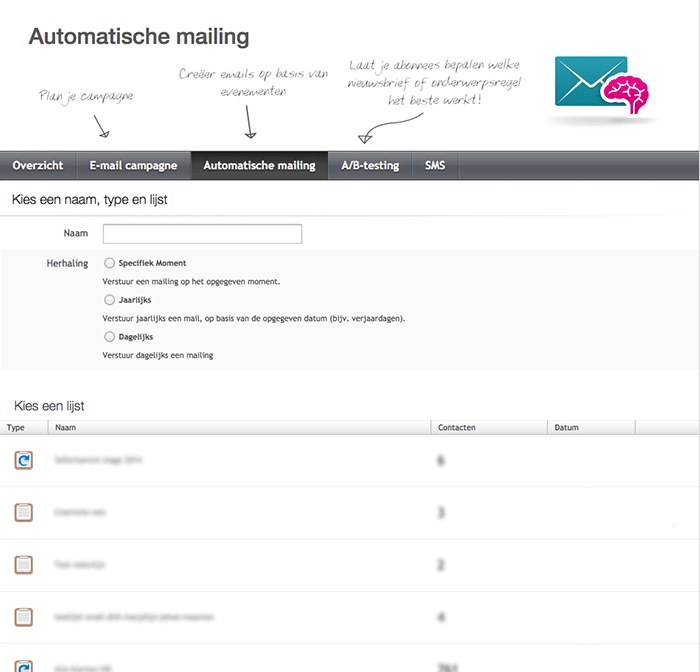 Hellodialog is a Dutch Email Marketing Service Provider (ESP) with 12 years of experience. Email marketers can use the software to send email campaigns or get tailor-made email marketing advice from the agency. Hellodialog is part of Pixelindustries, a digital agency that focuses on webdesign, eCommerce and online marketing. Hellodialog was founded in 2002 and offers in-house developed email software that enables you to create, send and analyse newsletters. With the option to outsource it completely to Hellodialog. The agency employs a variety of experts, from development to design and from support to marketing. 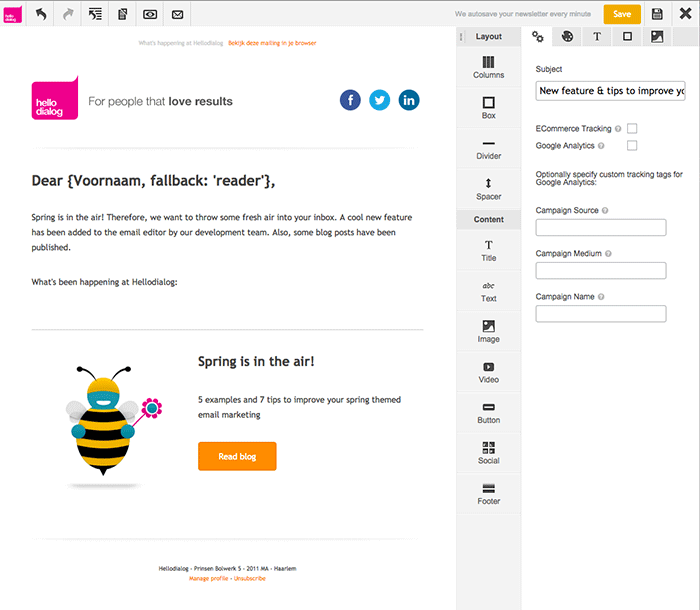 Are you looking for an Hellodialog alternative for your email marketing? We listed some Hellodialog alternatives. Based on open rates of previous email campaigns the day optimizer gives you advice on what day of the week is best to deliver your newsletter. Boost the open rate of your newsletter to a higher level with the time optimizer, which advises you concerning the best time of the day to deliver your newsletter. Send automatic emails on the occasion of events that return on a daily, monthly, annual basis or other specific moment in time. Based on the open rates of your past campaigns Hellodialog gives you automatically suggestions to optimize your subject line. Based on the open rates of your past campaigns Hellodialog gives you automatically suggestions to optimize your template. The branded pages functionality offers you the possibility to make certain pages fit your corporate identity (examples: thank you page, change profile page, logoff page, email notification page, opt-in page, etc. ).